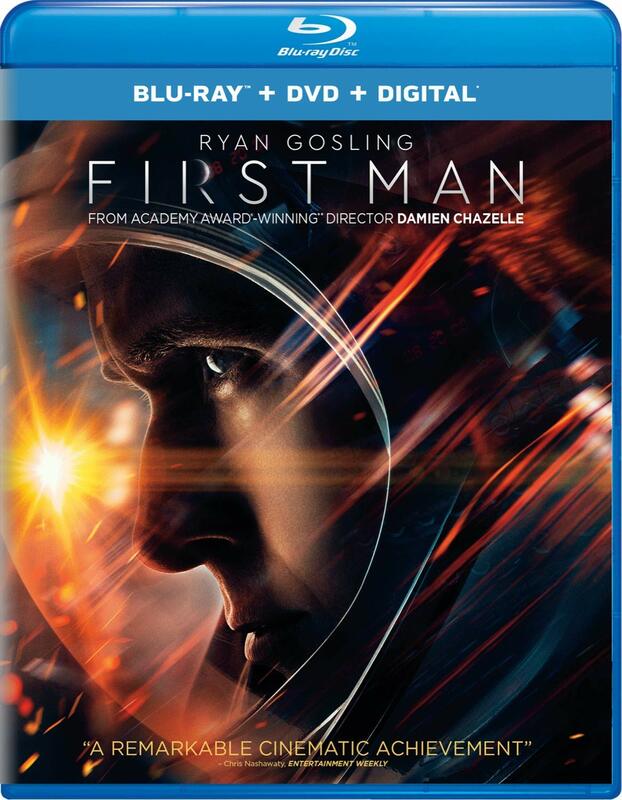 First Man took a new modern approach to the story of Neil Armstrong (Ryan Gosling)’s walk on the moon. After filming intense sequences from inside the cockpits of various spacecrafts, it opened up to full IMAX for the lunar landing sequence. The Blu-ray has the IMAX sequence and you can tell the image quality increases dramatically for it. It’s even more pronounced since a lot of the film was shot on 16mm, so it’s a more drastic jump to 65mm IMAX. The grain of the moon surface is fine and textured with great contrast between the surface and the black void surrounding it. The gold steps also gleam against the void. The rest of the movie has that saturated grainy look like it really was shot in the ‘60s, thanks in part also to using 16mm film. Two deleted scenes include one very harrowing sequences, and it’s not the Apollo 8 launch. That just shows Armstrong watching the launch. It’s a house fire at the Armstrong home that’s a full Backdraft scene and it didn’t even make it into the film. Several brief bonus features cover the making of the movie. Armstrong’s sons weigh in very briefly. Seeing the rigs they build to simulate various test vehicles behind the scenes is cool. The feature length commentary by Damien Chazelle, screenwriter Josh Singer and editor Tom Cross is technical and historical. They elaborate on all the research that pays off in what you see on screen, and how they filmed the flight sequences. Some of the research involve anecdotes about approaching locals, so it’s not all strictly technical. They also explain fudged timelines, which are their right to fudge to format it to a 140 minute story, but people will be interested how they conformed events.